Admit it, Samsung's Flip Cover for its Galaxy S3 and Note 2 devices is a pretty neat accessory. Feeling left out because Apple hasn't released any official cases for the iPhone 5? 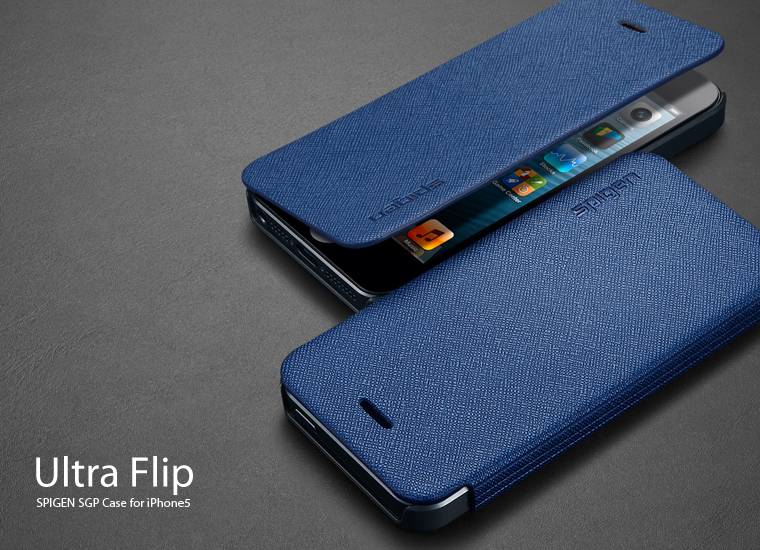 Well now's your chance to get in on the flip cover action with Spigen's new Ultra Flip for the iPhone 5. Much like Samsung's Flip Cover, the Ultra Flip is a slim folio flip-style case with a protective, hard polycarboate snap-on back case that's coated with a metallic finish to blend in with the aluminum look of the iPhone 5. It has a flip cover attached to it made with a "luxurious" faux textured leather that keeps your iPhone 5's screen protected from scratches and grime while not in use. There's also an earpiece cutout so you can talk on the phone while the cover is flipped closed. The interior holds one credit card or any type of card for that matter. The flip cover is lined using a soft microfiber chamude material to keep the screen nice and clean. And like Samsung's version, Spigen's Ultra Flip case uses no magnets to keep its screen cover down, unfortunately. 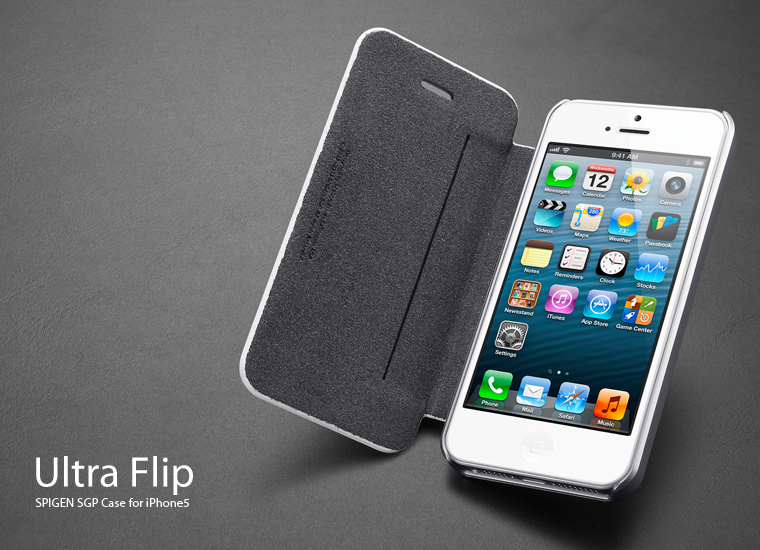 Spigen's iPhone 5 Ultra Flip case is coming soon with no projected price, but we're betting it'll cost you around $35. Update: It's now available for $38. Jump past the break to see more of the Ultra Flip.